Pittsburgh — A French bodybuilder appeared in federal court Monday to plead guilty to distributing anabolic steroids supplied from Chinese sources and shipped to Pittsburgh from Tennessee. Karim Mourahib, 30, a French Moroccan from Le Mans, waived grand jury indictment before Senior U.S. District Judge Donetta Ambrose and admitted to importing injectable steroids and selling them to an undercover Food and Drug Administration agent in Pittsburgh. Although the case against Mr. Mourahib focused on steroids shipped here, the case against him and other co-conspirators spans the country and is part of a larger investigation by the FDA, the Criminal Investigation Division of the IRS and the U.S. Drug Enforcement Administration. Mr. Mourahib essentially was the salesman for the network, taking orders online through several email addresses and arranging for wire payments to sources in China through Western Union or MoneyGram. 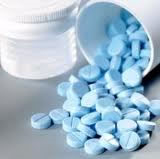 According to an FDA affidavit and a summary of the case recited in court by a federal prosecutor, the steroids were shipped from China to Chattanooga, Tenn., where four men are under investigation in connection with distributing the drugs. The case against Mr. Mourahib began in April 2010 when Sean Grillo, an FDA agent and former Pittsburgh police officer, contacted an email address used by Mr. Mourahib to sell steroids, according to the affidavit. A search warrant executed on the email account revealed thousands of messages discussing the distribution of steroids and human grown hormone to customers in Pittsburgh and elsewhere. Agent Grillo began a correspondence that led to controlled purchases and deliveries to a Pittsburgh undercover address. Agents traced the shipments to an address in Tennessee, where in July 2010 they set up surveillance and began gathering information on two men suspected of accepting delivery of steroids from China. The men are being investigated but have not been charged. An IRS agent also tracked the wire payments to China, where the affidavit identifies one of the sources as Tingwin Wang of Shanghai. Mr. Mourahib, who is not a U.S. citizen, was arrested in Miami in September as he entered the U.S. He is being held in federal custody pending sentencing in November.